Have you ever procrastinated on studying for your exams? We have too. 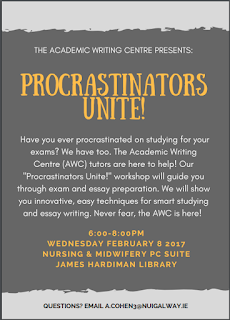 The Academic Writing Centre (AWC) tutors are here to help! 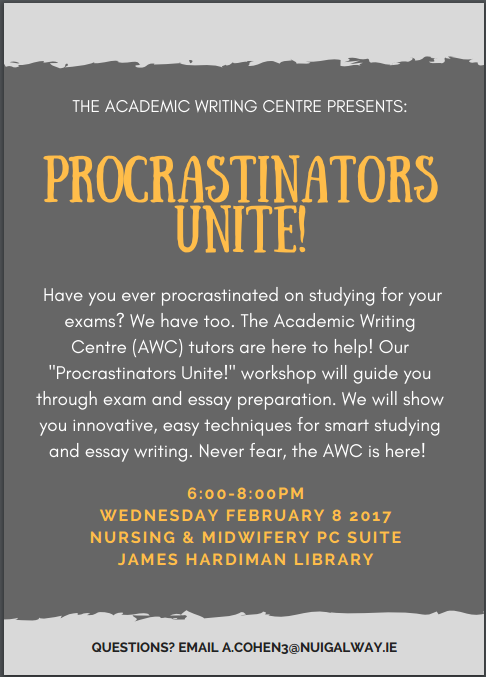 Our "Procrastinators Unite!" 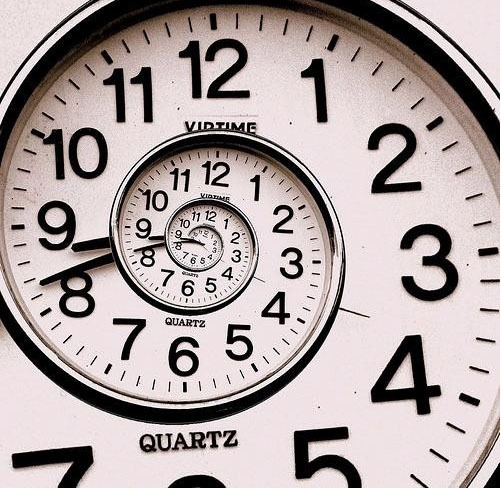 workshop will guide you through exam and essay preparation. We will show you innovative, easy techniques for smart studying and essay writing. 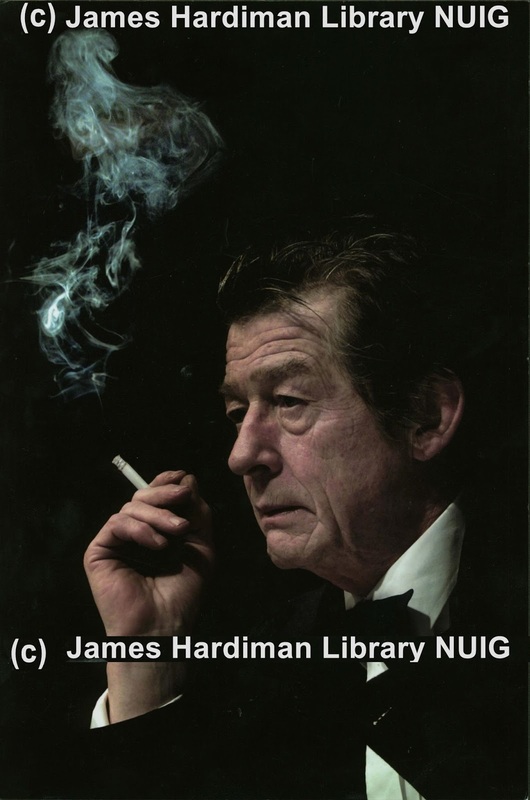 The late John Hurt was one of the most celebrated and versatile actors of his generation. With a career that spanned over four decades on stage as well as screen, the British-born Hurt leaves a legacy of diverse and identifiable roles that speak to new generations. A character actor of rare an immense talent, Hurt brought his range of abilities to Dublin’s Gate Theatre on numerous occasions. The Gate Theatre Digital Archive, now available for research at the Hardiman Library, NUI Galway, documents Hurt’s performances on the Gate stage. 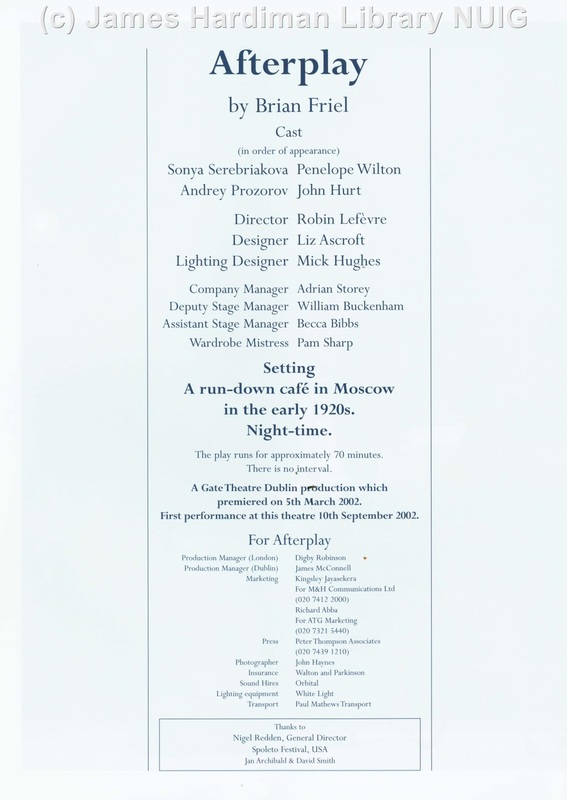 Hurt’s career at the Gate began in 1992 with a role of “Count Mushroom” in Brian Friel’s play The London Vertigo. Towards the end of the 1990s, Hurt would continue his association with the Gate Theatre and its director Michael Colgan through the work of Samuel Beckett. Hurt would play the eponymous role in Krapp’s Last Tape, written by Samuel Beckett and directed by Robin Lefévre at the Barbican Centre, London, as part of the Gate Beckett Festival. Hurt would revive the role at London’s Ambassador Theatre in a Gate production in January 2000, before finally bringing the role to Dublin’s Gate stage in September 2001, to great critical acclaim. Hurt would return to the Gate to again take the lead in a play by another major playwright long associated with the Gate – Brian Friel. 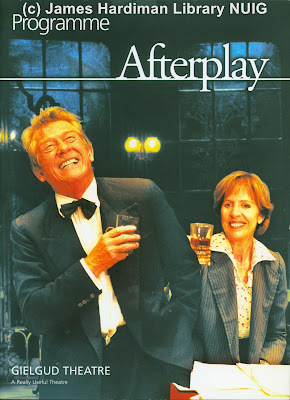 Hurt would play Andrey Prozorov alongside Penelope Wilton as Sonya Screbriakova, in Friel’s Afterplayas part of “Two Plays After”, which explored much of Friel’s interest in the plays and characters of Russian playwright Anton Chekhov. Hurt take to the Gate stage on two other occasions, in April 2006 and in November 2011, on both occasions to revisit what is now perhaps the definitive performance of Beckett’s Krapp’s Last Tape, directed by Michael Colgan. 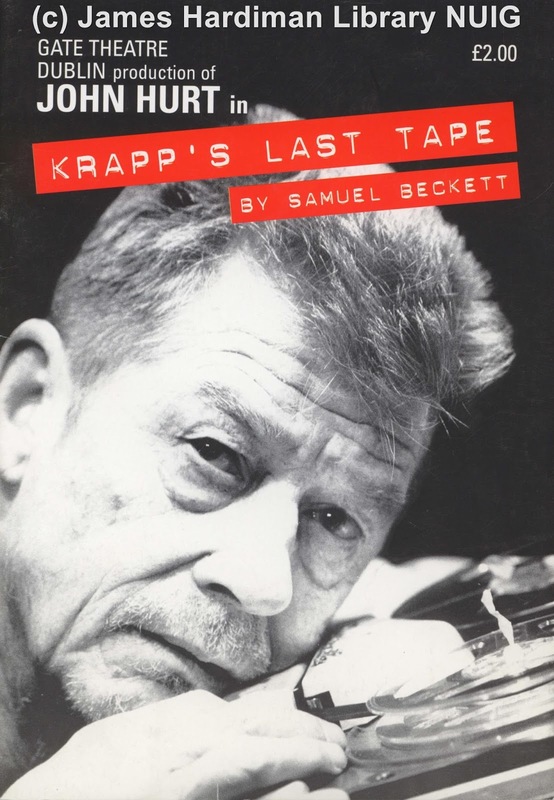 The Gate Digital Archive contains a digitised video recording of Hurt in the role of Krapp at the Gate in April 2006, which is one of the most valuable records of Hurt’s stage career. 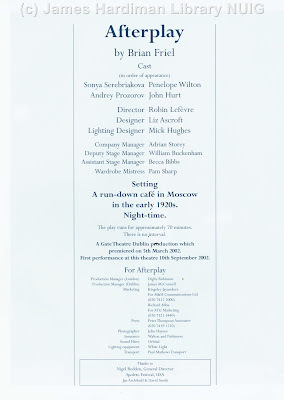 It also includes nearly two hundred photographs, over one thousand press cuttings, stage management files, lighting designs, vast amounts of programmes, posters and other records from Hurt’s time at the Gate. In a fitting twist, as Hurt is so associated with the role of Krapp, an ageing man who listens to tapes of his younger voice recorded from decades previously, so too is Hurt’s infamous voice, deeply expressive face and his unique acting style now also preserved for future generations. 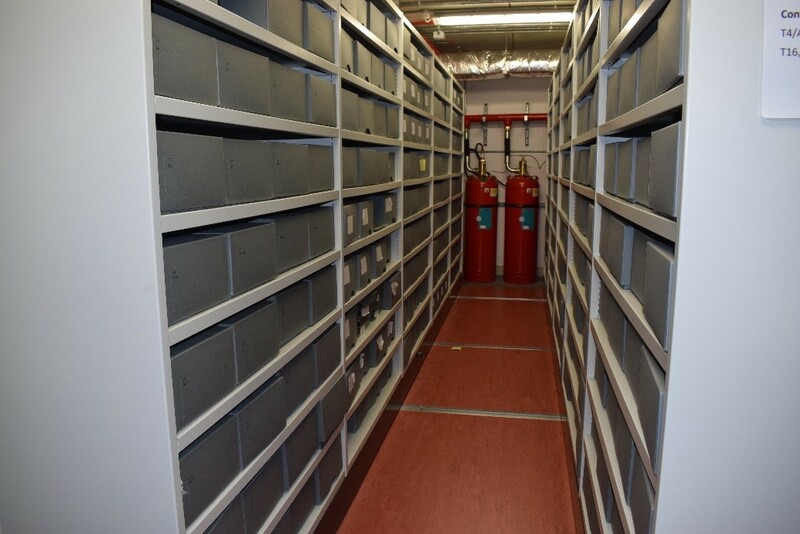 Read more on the Gate Theatre Digital Archive at NUI Galway. 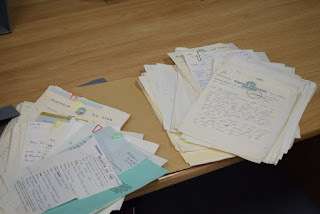 Muintir na Tíre has recently donated its archive to NUI Galway. Muintir na Tíre is one of the most important national associations for the promotion of community development in Ireland. It was founded in 1937 by Canon John Hayes, in Tipperary (a future blog will focus on Canon Hayes). Through its core principles of neighbourliness, self-help and self-reliance, Muintir na Tíre has promoted and supported the concept of active community participation and championed the idea of community development in both Ireland and Europe. This is a very significant archive of an organisation which from its beginnings sought to revitalise local communities in rural Ireland and foster and develop a community spirit from the 1930s to the present day. 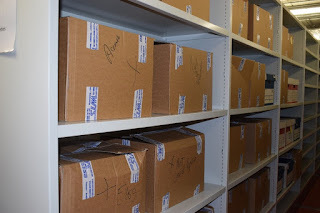 This substantial archive consisting of 162 boxes and approximately 8,217 items was transferred to the James Hardiman Library in December of 2016. 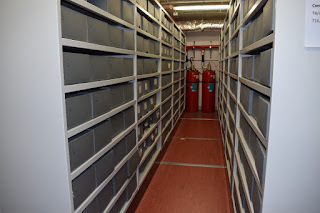 The archive consists of paper files, publications, photographs, loose documents, floppy disks, VHS tapes, cassette tapes, vinyl and bound volumes. 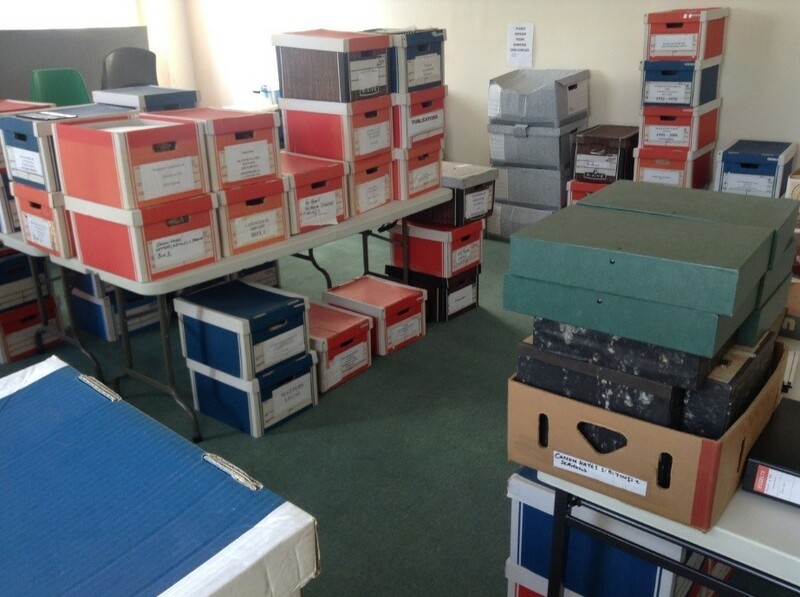 I have been hired to review, arrange and catalogue the archive. I being Fiona Kearney a qualified archivist and records manager. I began researching Muintir na Tíre by reading Stephen Rynne’s “Father John Hayes: founder of Muintir na Tíre, People of the Land”, Mark Tierney’s “The Story of Muintir na Tíre 1931-2001 – the First Seventy Years” and various articles and theses written on Muintir na Tíre. This has given me a good understanding of the organisation and the work that it did throughout its history. A search of our collection can be seen here. I have already begun opening the boxes to explore the wonders of the collection. 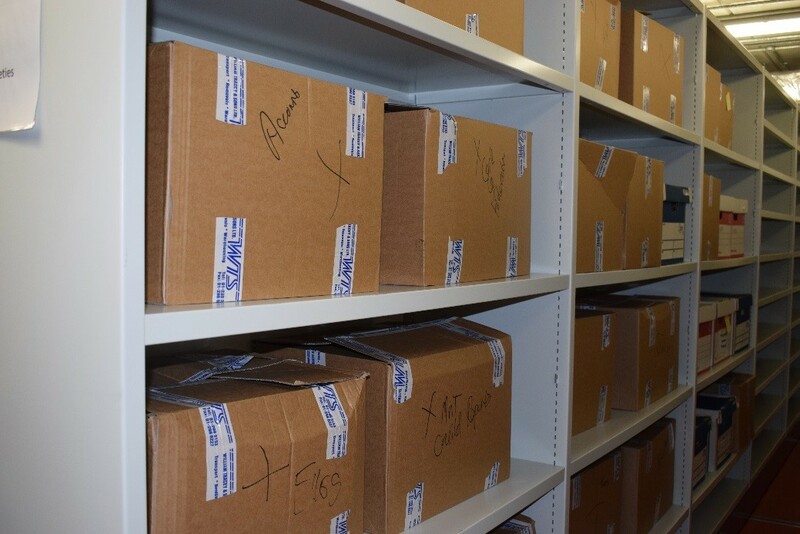 I am currently identifying what the files contain so that I can begin to arrange the collection. This phase also involves some conservation work where I am removing rusty staples and paper clips and replacing them with plastic paper clips which do not damage the paper. An example of a completed file and a file that has rusty paperclips and staples. I am replacing the folders with acid free ones. 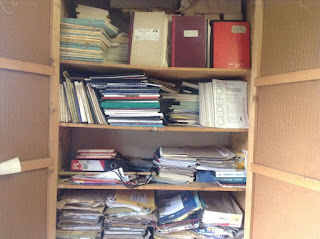 I am also identifying any records that need further conservation work or which will need to be copied such as thermal paper, predominantly fax paper. 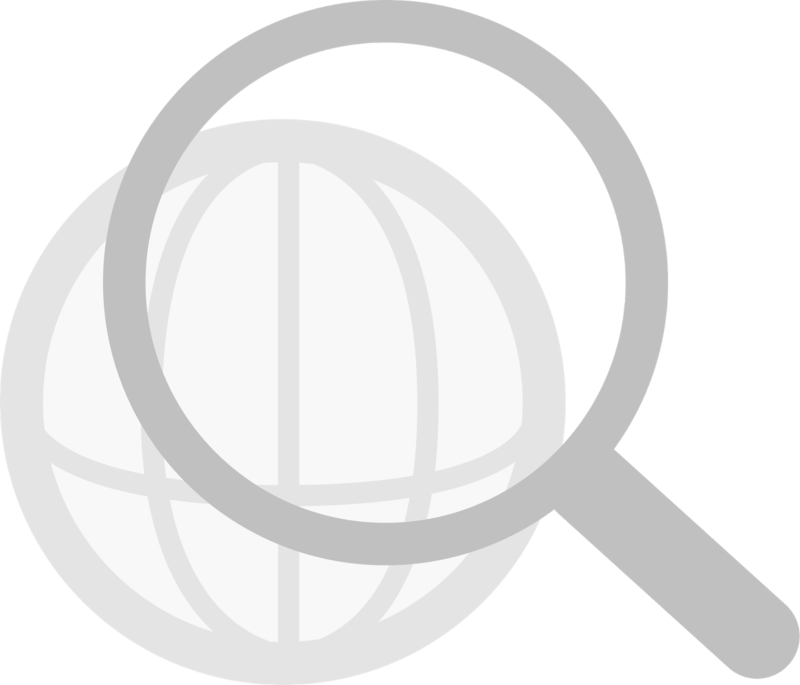 The process of archiving a collection from receipt to discoverability and availability to researchers takes a considerable time. I have fifteen months to complete this project. The end result will look like this. I hope you will join me on my journey of archiving the collection where I will provide monthly updates on the project. The Library now has access to Slavery in America and the World: History, Culture & Law a comprehensive research collection devoted to the study of slavery. Slavery in America and the World: History, Culture & Law gathers every English-language legal commentary on slavery published before 1920, which includes many essays and articles in obscure, hard-to-find journals in the United States and elsewhere. It provides more than 1,000 pamphlets and books on slavery from the 19th century and word searchable access to all Congressional debates from the Continental Congress to 1880. It also includes many modern histories of slavery. The collection was developed under the direction of Paul Finkelman, Ariel F. Sallows Visiting Professor of Human Rights Law at the University of Saskatchewan College of Law. from 1100-1500 in the Library Foyer. Experts from Gale publishing will be available to provide one-to-one content advice and assistance for any of Gale's primary source collections that the Library subscribes to. Students, researchers and academic staff are welcome to drop by anytime. The roadshow is a great chance to have an informal chat with product experts who can show you the best way to find primary sources for your essays, projects and dissertations as well as learn how to use powerful tools like term frequency. 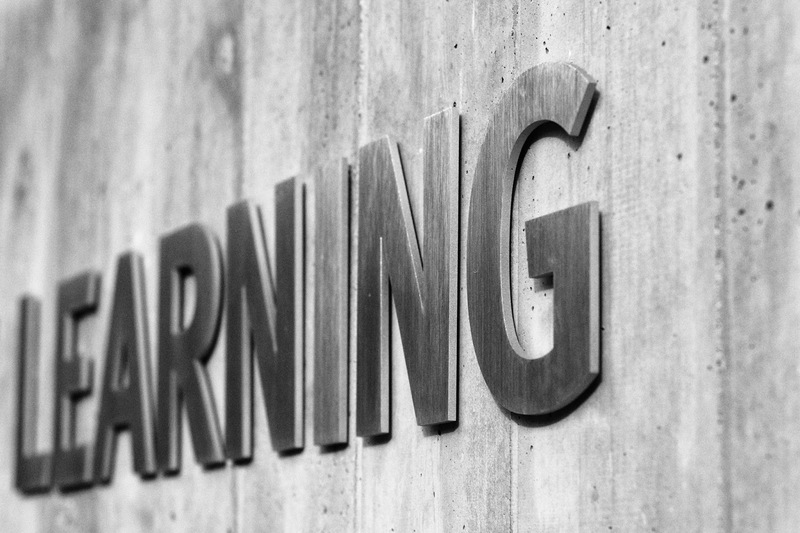 A wealth of historical materials to support your studies and research are only a few clicks away and this event is is a great, informal way to quickly learn how to find them and use them. 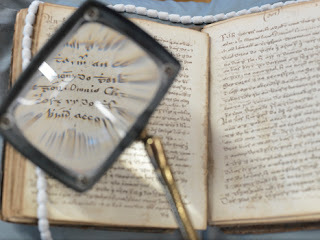 Seminar: "Archives in Research – Methods, Practice, Outcomes"
The Archives service of the James Hardiman Library, NUI Galway are hosting a half-day seminar on the theme of 'Archives in Research'. The seminar will feature expert speakers in various academic fields who will showcase new research projects which are based on innovative use of archival collections. The seminar will focus on a range of themes, including community and publicly-sourced records of the revolutionary period in the West of Ireland which are being digitised and being made publicly available online. Other areas addressed will be an NUI-funded project centred on creating digital access to historic traditional Irish musical scores, Irish language manuscripts and the research of the context of their collection. A keynote paper will be delivered by Professor Frank Shovlin, Director of Irish Studies, University of Liverpool. The paper will detail the experiences of Prof. Shovlin's study of the literary archive of celebrated writer John McGahern and the influence that archive has had on his research. 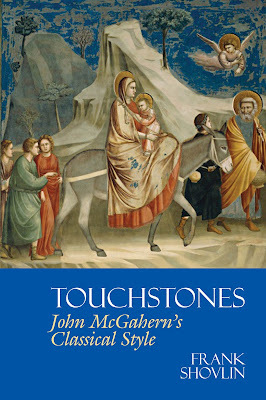 Completing the day, Dr. John Kenny (Discipline of English, NUI Galway) will launch the new book Touchstones: John McGahern's Classical Style by Professor Shovlin. 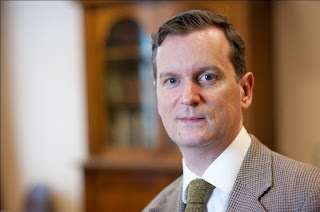 3.30pm - Dr. Deirdre Ni Chonghaile (NUI Fellow in Irish/Celtic Studies) The Rev. Daniel J. Murphy Collection: Reconfiguring the Cultural History of Irish-speakers in the 19th and 20th Centuries. Touchstones: John McGahern’s Classical Style by Prof. Frank Shovlin. Nick Hern Books is a collection of 400 fulltext titles now available on Drama Online. This collection features important works from Jez Butterworth, Caryl Churchill, David Edgar, Helen Edmundson, Liz Lochhead, Conor McPherson, Rona Munro, Enda Walsh and Nicholas Wright amongst others. Browse the list of titles in Nick Hern Books. 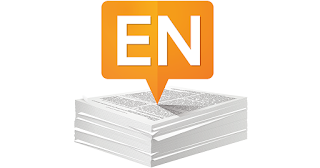 The Library currently has access to Archives Unbound produced by Gale Cengage. Archival source documents include personal correspondence, government files and reports, pamphlets, speeches and memoranda from a range of historical periods. Complete access to Archives Unbound is available until September 2017. The Library will review usage of the resource and will selectively purchase perpetual access to the most accessed collections. Browse the title list of collections on Archives Unbound. If you are new to the Library this semester, or just need a refresher on how to find a book in our catalogue, or when you do, where it is on floor, the Academic Skills Hub team provide weekly Finding Books & Journals Workshops and Library Tours. You don't need to book these sessions/tours in advance, just talk to us at the Academic Skills Hub in the Library Foyer. Further details can be found on the JHL Library Guides and Tutorials pages. The Taylor & Francis Online platform is currently experiencing technical issues. this means that our access to Taylor & Francis journals is intermittent at the moment. Some journals will work, while others won't. If you're looking for access to an article in Taylor & Francis which is forbidden, then log a ticket with the E-Resources Team and we'll investigate for you. If we're entitled to access the article you're looking for, we'll request it on your behalf. It has come to our attention that unauthorised access was gained by an unknown party to an IOPscience.iop.org server on 24 December 2016. This server contained a database which included your contact details and user password for IOPscience. We can confirm that no payment or other financial information was present on this server. Please be assured that IOP Publishing places a high priority on data security and is taking this matter very seriously. We have already taken steps towards the prevention of any recurrence. We have engaged forensic IT specialists to investigate the incident and there was no evidence of access being gained to your personal information or any intent to gain such access. We therefore consider it unlikely that your personal information has been accessed, but as we cannot rule this out we wanted to bring this to your attention as soon as possible. Even though we consider it unlikely that your password details have been compromised, we would recommend that you take this opportunity to change your current password for MyIOPscience and that you also change the password for any other sites or accounts that use that same password. If you have any questions please contact us at customerservices@iop.org. Welcome back! The Library hopes that students had an excellent break and are excited to see everyone back on campus. We have a rich offering of learning opportunities for students this semester, oriented to your studies at any point in your academic career. They include sessions that help getting a grounding in the basics of third-level information sources, search techniques and strategies, citation management, and more. Here's a list of what we're offering so far; keep an eye on our blog and our training and events calendar as we're routinely adding more. Check out our Eventbrite calendar for more information and to sign up to all of our bookable sessions. Among our rich suite of learning opportunities this semester we're trying out a new concept: drop-in Clinics. 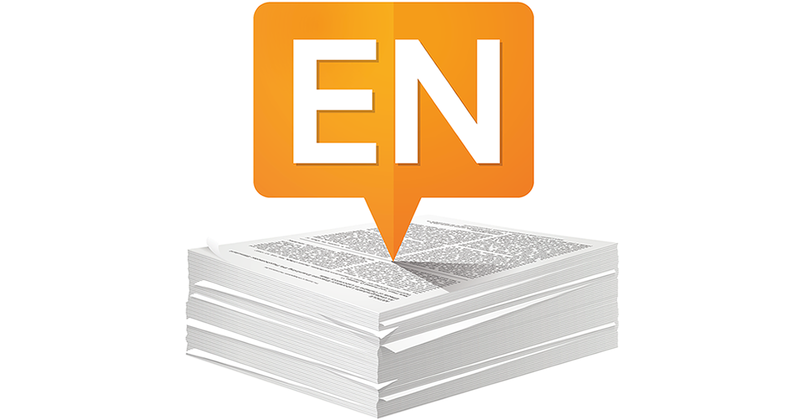 In place of a structured tutorial, come by the Library with your burning questions about either Endnote or How to Get the Best from Your Literature Search. Academic Skills Librarians will be on hand to field your queries! Michel Déon, distinguished novelist and writer passed away on December 28, 2016. M. Déon was elected to the Académie française in 1978. He lived in Tynagh, Co. Galway with his family for over 40 years. 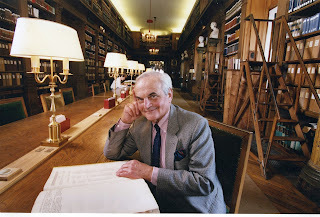 The Library has benefited greatly from M. Déon's generosity. Over many years, he donated numerous works in French, which he received for review and also some of his own works. The wealth of material the collection contains can be viewed here in the Library Catalogue. These are all available for NUIG staff and students to borrow. Of particular interest: Cavalier, passe ton chemin! originally published by Gallimard in 2005. This has just been published in English by Lilliput Press: Horseman, pass by, translated by Clíona Ní Riordáin. Taking its title from Yeats, it recounts Déon's memories and impressions of Ireland and Irish culture. Michel Déon last visited the James Hardiman Library in Sept. 2015, click here for details.